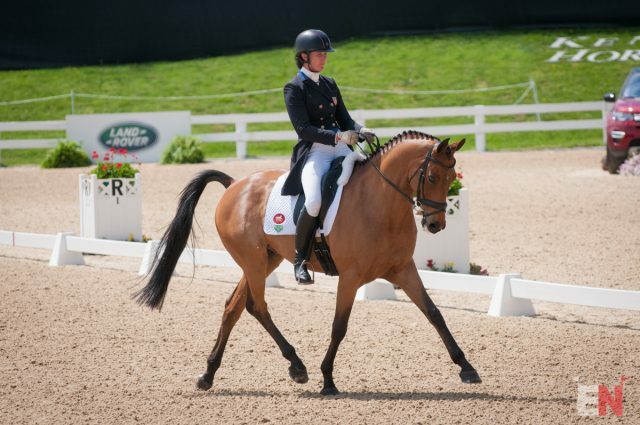 Both Anglo Arab geldings, Vermiculus and Snooze Alarm share both the Thoroughbred athleticism and the Arab stamina that makes for excellent eventing horses. 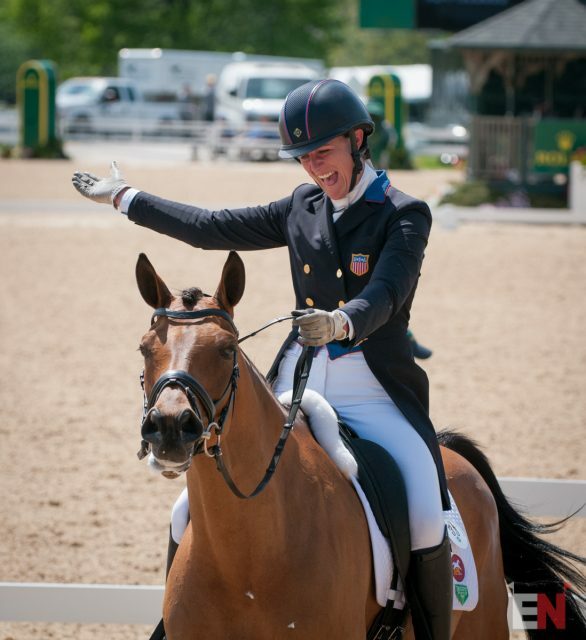 Lauren and Vermiculus are off to a super start, having scored a 43.8 in dressage that was good for second place heading into Friday’s competition. We look forward to watching Vermiculus follow in his big brother’s hoof steps on Saturday — Snooze Alarm jumped around clear with time here in 2010. Lauren Kieffer couldn’t be more thrilled with Vermiculus! Photo by Leslie Threlkeld.